Memorable Patients — Canvasback Missions, Inc. 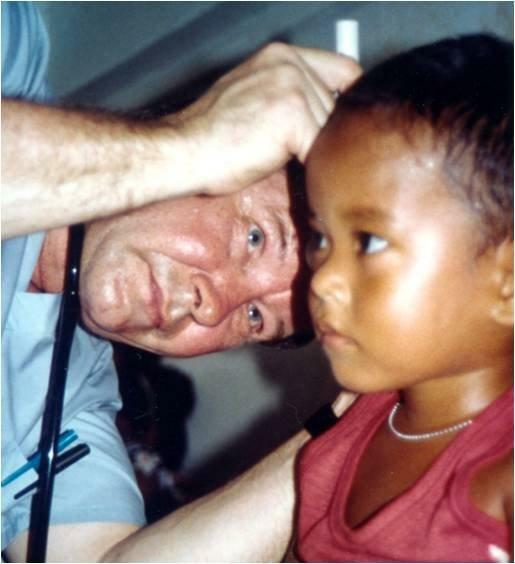 The first island of the first mission trip, Maloelap, brought many challenges and rewards, many of which revolved around the patients. As part of our 35 year retrospective, we would like to recount the stories of a few memorable patients. Be aware, some of the following images are graphic. One of the first patients that came to the doctors on Maloelap was a little girl, not more than two or three years old. Over the course of a few weeks she had developed head-to-toe impetigo, a skin disease caused by lice and scabies. The impetigo had resulted in a staph infection all over her body, which had become life-threatening. At the time there was a system in place that ensured each of the outer islands regularly received medical supplies on copra boats, and that a health aid had been trained in who how to use them. The team knew the island’s medical supply should have had a lindaine shampoo that treated impetigo. They headed to the health aid’s building to find out what had happened to it. When they surveyed the stock, they saw a shelf full of unopened bottles of the shampoo. It had never been used. When the health aid was asked if he knew how to use the lindaine, he held the bottle out the window at arm’s length to try to read the label. But he could not. The team retrieved some glasses from their supply and had the health aid try on several pairs until he could see. When he read the bottle wearing the glasses, he knew exactly what the shampoo was and what it was for. It was a relief for everyone when he got them. With the glasses he would be able to give better care to the islanders. Meanwhile the little girl was so overtaken by the impetigo and staph infection, that it overwhelmed the doctor treating her. It was a difficult condition to see on so young a person. He did not usually scrub the patients himself, so before he helped her, he had to steel himself. With the help of the others on the team, he got over his initial hesitation and washed her scalp. He then rubbed her with lotions and gave her antibiotics. She responded to the treatment immediately and healed over the course of their visit. They knew she would survive and knew others would thrive now the health aid could see. On the last day on the island, as the team was packing and Jamie was prepping the boat to sail to the next island, a nurse saw a man near the clinic holding a dirty rag to his face. She did not recognize him as a patient. During the course of the week, he hadn’t approached the doctors, but had hung back, watching them. The nurse and doctors decided to go to him. They asked to take a look at what he was nursing. When they removed the rag they saw he had an abscess on his mouth the size of a golf ball. It was badly infected, red and swelling with puss. He had had it for years. He didn’t know why it had happened, which was not atypical of the people on the islands. It had never occurred to him that anyone could help him, that he could have relief. The team brought him on board the Canvasback, where the dental equipment was already stored away, and unpacked what they needed of it. The doctors pulled the tooth, then lanced and drained the abscess. They left him relieved and with a supply of antibiotics to finish off the infection. They would not be able to see his recovery, but knew he would be fine. 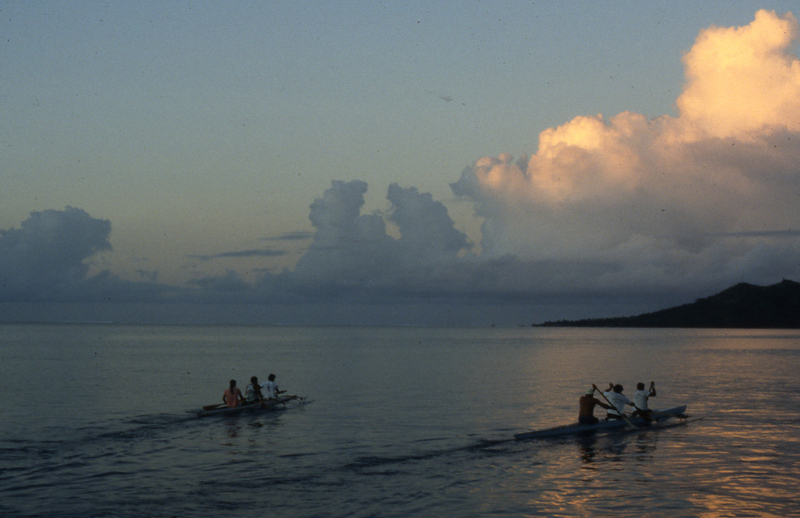 In subsequent years the team re-visited the islands. They saw the health aid had improved his role for the islanders, having gained more skills because he could see. They also saw the man and the girl thriving and well. Then they set up shop, and got to work.